How to Discover Kerala beyond Clichés? The meaning of travelling is altering with the change in time. Earlier, vacations or outings were full of famous spots’ sightseeing and visiting the crowded yet popular destinations. However, nowadays travelers are looking for peace and tranquility rather than rush. Going to unexplored realms, walking on unfathomed paths and reaching to unknown lands is the dream of modern man. Kerala is a very popular holiday destination so; you will encounter many tourists while visiting this state. Still, god’s own country holds some mysterious gems for people who want to discover the beauty of Kerala in a unique manner by stepping beyond the clichés. 42 km away from Munnar in Idduki district, Marayoor is a small town withholding many historic proportions in its bosom. Dolmens are ancient megalithic structures from prehistoric age made up of large slabs of stones. These tombs like structures have miraculously survived for more than 5000 years in the town of Marayoor. You can find them littered all around on a rocky slope at this tranquil place. This spot is like a real treasure for all the history lovers! Nobody knows much about these ancient structures which make their existence even more mysterious. Indulge in natural charms as you walk through these beautiful structures. The beautiful scenarios will start to spellbind you as you start hiking towards the mighty Nelliampathy hills. 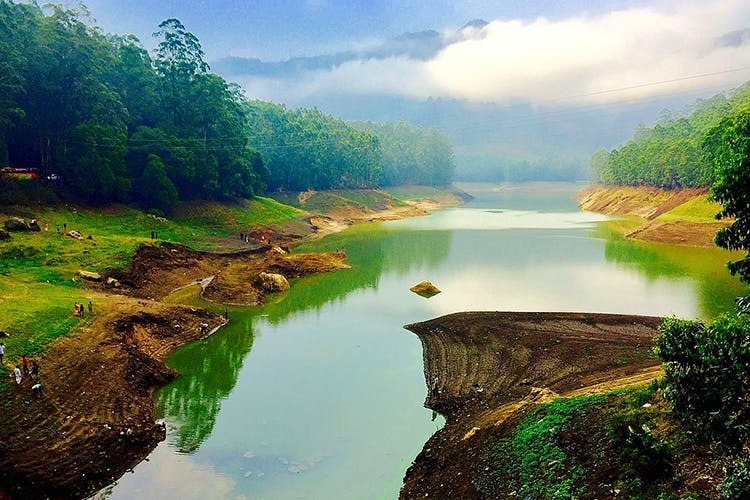 This quaint hill station is situated 60 km away from the Palakkad town in Kerala. The moment you will catch the first sight of the mesmerising Pothundy Dam on your way, you will fall in love with nature without any doubt! Surrounded by lush green forest, the sparkling water of this reservoir will resist you to stay there for a while to admire its beauty! All you will see is a huge pristine forest welcoming you with an abundance of charms and green slopes. Hire a forest guide to explore the protected area of Nelliampathy forests and catch some stunning views. Located in the tiny hill station namely Devikulam, Sita Devi Lake is a small yet beautiful water body. It is accessible only via foot so; you won’t find many travellers over here. Although not grand still, the serenity and calming vibes of Sita Devi Lake are quite unmatchable! The lake is still unblemished from the so-called human development and surrounded by appealing groves. You can also enjoy a simple yet picturesque hike starting from Chinnakanal to this beautiful lake. Sit by the lake banks with your loved ones and feel the vibes! And hey there won’t be anyone to break your beautiful reveries! 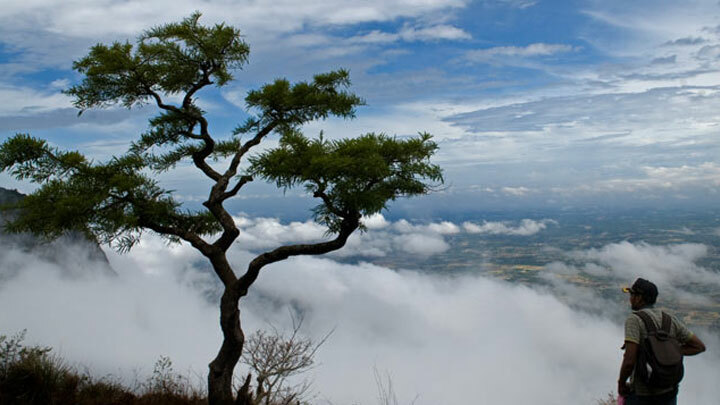 Chembra Peak is the best offbeat destination for nature admirers and adventure enthusiasts. Its beauty intensifies dramatically in monsoon when the higher grasslands of Chembra transform into a green soft carpet. Studded between these glittering grass stretches, the heart-shaped lake looks like a great jewel! As you conquer the mountainous heights and go up the trails, the shape of this lake becomes clearer. 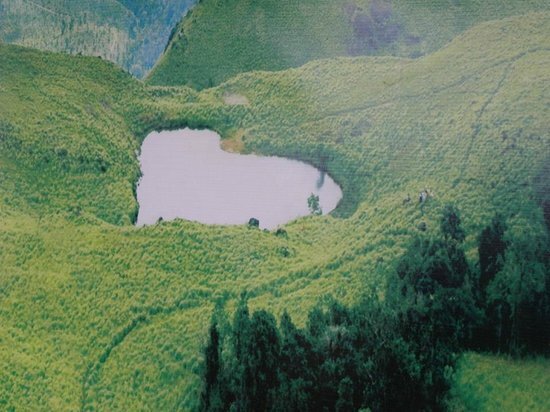 The heart-shaped lake at this peak surely steals the heart of every traveller who passes by it! 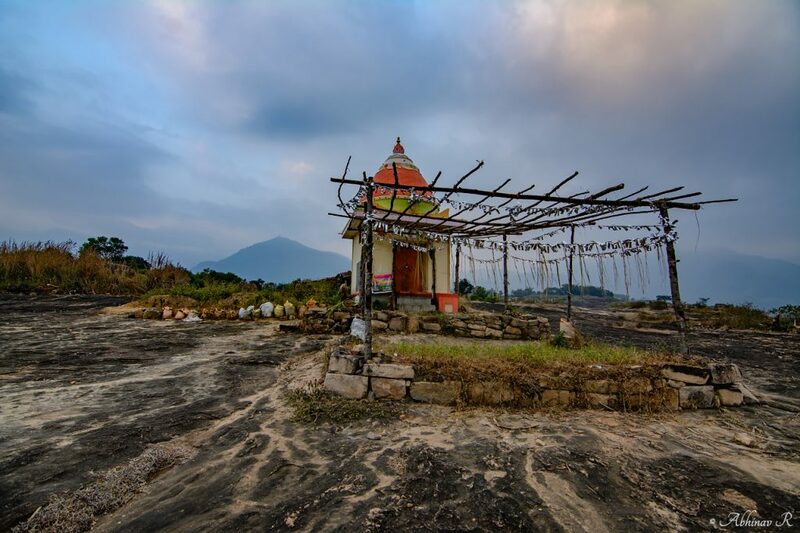 The fascinating hike to Chembra Peak starts 8km away from the famous town of Meppady. Start your hike in the monsoon to catch the most bewitching views! The dense forests of Kerala also hold some fierce yet rare creatures to enthral the visitors. 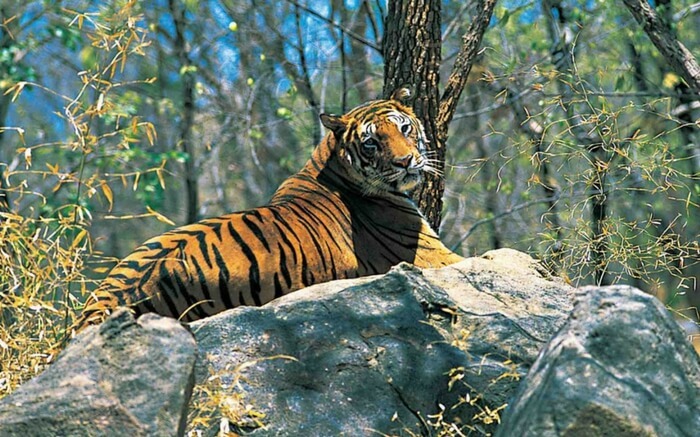 Parambikulam Tiger Reserve is a beautiful tiger reserve that houses endangered species of Bengal tiger. If you are an avid animal lover then, add this reserve on your Kerala trip list. You can enjoy scores of activities like jeep safari, treetop camping, long forest treks, fish safari along with spotting a range of animals and birds. Even if you can’t spot animals, you can spend some ideal time in the protected forest area of this reserve. 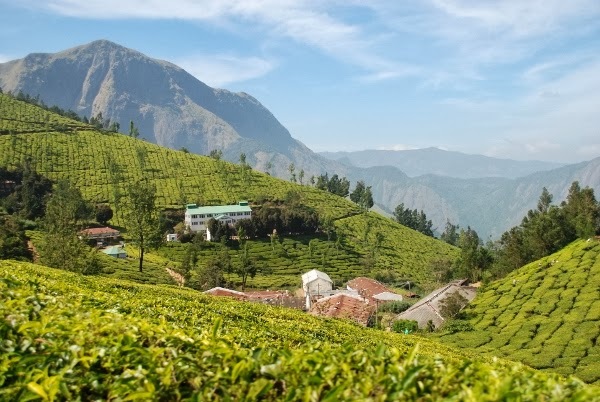 Kolukkumalai Tea Estate is the best place of entire Kerala for the tea lovers as it is the hub of organic hand-rolled tea. Situated at the height of 8000 feet on the Kerala-Tamilnadu border, this is one of the world’s highest organic tea processing estates. Stunning views of the tea gardens tucked amidst the rugged mountains is enough to take away all your miseries! The bumpy trails will give you the fun of a roller coaster ride before reaching this vast tea expanse. The extraordinary vistas won’t let you take a nap in your vehicle even when you cross them again while returning. You can also get a few glimpses of villages and areas of Tamilnadu on this trail. 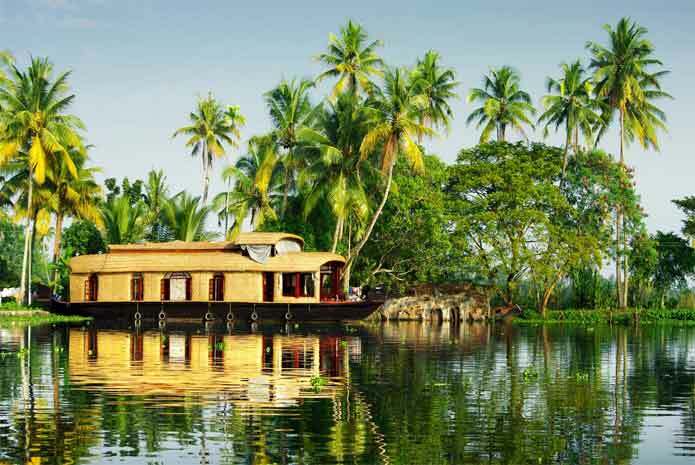 Your trip won’t be completed without exploring the backwaters of Kerala in a traditional houseboat. Instead of going for some famous backwaters which remain flooded with tourists, you should choose the much tranquil Ashtamudi Lake for this beautiful experience. Enjoy the views of calm water waves surrounded by swaying coconut trees as your houseboat lazily floats over the serene backwaters of Ashtamudi Lake.You can also try your luck in clam fishing in this lake. Many Ayurveda resorts are situated near it so; you could enjoy a relaxing Ayurveda treatment after a tiring day here! Kerala has every type of attractions to satiate the desires of various travellers. Moreover, it is ideal for varied types of trips. You can browse through Kerala tour packages for family if you are planning a family outing to Kerala. Apart from it, other tour packages of Kerala are also widely available. So, enjoy your unique trip!